Co-founder of @carousell. Engineering and Product. Worked at @redbeacon (acquired by @the-home-depot). Passionate about data and personalization in e-commerce. Co-founder (Product) of @piccollage. PhD (Econ) Cornell. Worked at the Pentagon and at startups in both the US and Asia. Co-founder & CEO @nitrous-io. Economics, Computer Science at @harvard-university. HCI Research at @harvard-university Design School. Co-Founder @vidyou, @firefly-health. Co-founder @carousell. Product/Support. Dropped honors degree to re-imagine selling for mobile. Went to @national-university-of-singapore-1, @stanford-university-1. CEO of MobileAds.com, RichMediaAds.com & MobileApps.com. Certified life coach & firewalker. CEO & Founder of @shopspot. JFDI.Asia class of 2012 Founders. BA Econ TU. Founder for Kai.Ba. Over 3 years experience in Toshiba. Designed an ERP system on-site a furniture manufacturer in Kunshan. Done an internship in PIL, Chennai. A fashion lifestyle entrepreneur currently with JFDI.Asia as a General Manager. More than 10 years building online businesses focused on creative industries. 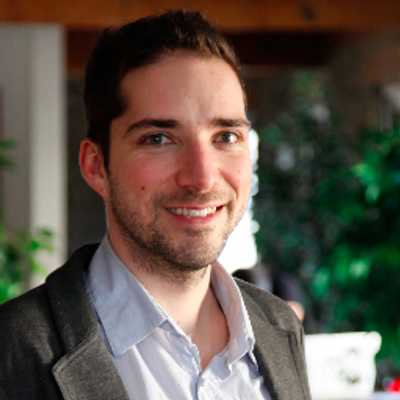 Founder of @imgembed, @designtaxi named by Forbes/TIME as top influencer. Founder/COO @zumata. Strong business/sales/finance background (Morgan, Citi, Merrill). Smith MBA '10. Asia/tech focus. Makes things happen. Strong background in large enterprises and B2B (IBM and Lotus etc). Founded Silverbakk, SiXX and Great Simians. Co-Founder & CEO at @vibease Inc. I'm a Hacker, Maker, Programmer & Designer. I dream and I make things happen. Strong in Hardware and mobile development. Emerging Markets Entrepreneur. Formed hundreds of companies for entrepreneurs. Legal background, but addicted to tech startups. Grad @northeastern-university Never sleep. I am the co founder & CEO of 8 Securities. My journey has taken me through Silicon Valley, New York, London, Dubai, Mumbai, Singapore, Hong Kong and now Tokyo. CEO & Co-founder, Milaap. Crowdfunding for social good. Earlier, founded & failed at MicroAppli (mobile photo sharing). Now Re-inventing Giving. Founder & CEO at @impulseflyer. Extensive experience in online travel startups in the Asia Pacific region. Co-Founder and CTO @shopline • Full stack developer • Worked at @viss (ACQUIRED), @NextMedia ,@TVB.COM, @deloitte • Studied at @ubc, @HKUST. CEO of Duets. Was co-founder of HK/China based startup with $2m annual revenue. Speaks Mandarin. Founder @eventfinda. Started and exited before. Obsessed with UX design. If there was only one thing left in the world to do, would build start-up teams. Currently running a software company in Singapore. Previously - founded Open Source Food (acquired) & CTO of Glamour Sales Japan. @onecentmovement @hallways @accenture I like making things. CoFounder of @flocations. Product Management, SEM, Business Development. Founder @NexMM. Undergraduate Student at Singapore Management University. Design Enthusiast. Code Junkie. Founder and CEO of Learnemy. UX, Product Design, Marketing, and a little coding. Co-founder at Sent.ly. More than six years of global high-tech customer engagement and product marketing experience. Entrepreneur since 6. Focused on social and behavioral change. Co-built 6 startups. 4 secured/earned $100K+. Co-built 15 organizations. 3 majors/4 minors. Chief Commercial Officer - Luxola.com. Former Head of eCommerce - Carrefour Indonesia. Ecommerce expert, growth hacker in SEA. Founder Memom Pte. Ltd. • Worked at @kpmg. @insead-1 MBA. CEO and co-Founder, @youcommentate. Was CEO and co-Founder, @CognitiveEdge before exit. Worked at @ibm in previous life. Enjoys a challenge. Founder, CTO/CEO and Director of @lovebyte Pte. Ltd.
Passionate food fanatic with 5+ years of analytics, location and social platform marketing. Entrepreneur, Makes things happen quickly. Believes in systems and consider nothing impossible. Beware of red splotches if close by. Fun loving. Co-founder at FitnessCubed. UChicago alum. ChicagoBooth MBA admit. Health, Energy, Art. Founder of iBuy.sg. First company at 23 years old @ Cambridge. Worked at @boston-consulting-group, @deutsche-bank • Studied at Harvard/Cambridge. Communication Engineer. Tech Entrepreneur. Founder & COO at @hoiio. Co-Founder & Managing Director Lensza.co.id - InternetOptics Pte Ltd. Co-Founder and COO of Rainmaker Labs. Strong finance and business background. IMD MBA 2011. Co-Founder @dashsell; Graduated from @nanyang-technological-university, @electrical-and-electronics-engineering ; Learning to solve problems with technologies. Founder of CryoWerx. Strong background in Physics research and IT operation/management. High-energy CEO and award-winning software developer currently leading a venture-backed fintech company in Southeast Asia. Previously an EM private equity exec. Founder of SchoolWale(India’s first and fastest growing school information and comparison portal) - Worked at Microsoft, Amazon and IBM. Founder & MD at @travelshopa. 1st startup. Strong business background (IDC Consulting). UTS MBA 2007. [email protected] flight search engine. Real Estate Developer Mexico and Latin America. CEO/Founder/Serial Entrepreneur at DealsNews.tv which is going to revolutionize the daily deal sector with a superior service offering. Founder and CEO at OpenRecruiters. Strong business development and specialist recruitment experience; Worked in specialist recruitment agency. Start-up Jeanie. Women wish for the perfect fitting jean. I make that wish a reality. Significant Experience in IT Ops, LiveOPS, IT Support, and Customer Support. Graduated from MDIS, Worked in the IT Field with MNCs and SMEs before joining Novatap as a Co-founder and the first step to my Entreprenuer Journey. Co-founder, Noise Street, a digital media interactive platform; Founder, @rights-reality, a technology focused patent licensing firm; Ex-Samsung; B.Tech IIT. Founder @foxysales. Passionate about e-commerce and kids products. A Risk-Free blind Techie who cares brainchild of someone; now giving birth to his own by not rendering & imitating existence. CEO of @gonovu. "Paying rent has never been so rewarding!" Former financial services executive. Strong financial services background. Temple MBA 2003. PMP®, CITPM®, ITIL® Holder. Worked at 12 Gigs, Ubisoft and IBM. CEO - FlightOffice.com, CEO of Altair, VP Sales & Svc Novariant, CEO of Cultiva, GM of CSI Wireless, Airline Pilot License, Owner of Aviation companies in past. Global Brands Programme Manager at the Laterooms Group. CEO of InfoTrie. Venture dedicated to unstructured data in finance. 15 years of international experience in Financial Systems. Universite Lyon 2. Founder Codera Technologies with 20+ Yrs experience in IT and worked with CSC, TCS, HCL Tech and held Sales and Sr. Management positions in these organisations. Founder of nanobiotech start-up at age 25. Founder of I.T. start-up at age 14. Holds 2 patents. 15 years in life sciences and technologies. Founder @Meiren Studio Pte. Ltd., 6 years of Cosmetics Wholesale experience in the Taobao Marketplace. Very familiar with China's cosmetics industry. CEO & Strategy Director at @jra-fiji. i sell eggs for twitter..
A highly regarded developmental executive, government liaison, educator, and author. ACA (top 50 merit list)-20 years experience covering Finance;Supply Chain; IT functions across Mfg and trading multinationals in local, National,Global roles. Solving real pain points. NTU M.Sc. Technopreneurship and Innovation, Thammasat M.Sc. Real Estate, Kasetsart B.Eng. Civil. Studied Medicine at National University of Singapore / NUS. Consultant Surgeon at Eric Gan Surgery, Mount Elizabeth Medical Centre. Online editing and proofreading services. Check out our Word Blog for great writing tips and grammar guides. We follow back!